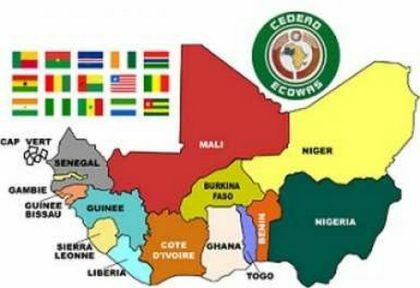 A three-day meeting of Finance ministers of the 16 West African countries opened Wednesday in Monrovia. Speaking at the opening ceremony of the meeting, Liberia's Finance Minister Samuel Tweah challenged West African Governments to re-define their partnership with the European Union (EU) to ensure sustained private sector led growth. Minister Tweah noted that while the EU and other development partners have provided enormous assistance to African countries, the reality is that the private sector in these countries remains weak and unable to absorb young people entering the labor market. The Finance Minister made the call Wednesday at start of the 9th Regional Meeting of the Network of National Authorizing Officers Support Unit in West Africa of the European Development Fund (EDF) held at a local hotel in Congo Town outside Monrovia. “ At the just ended Economic Conservationsts and Reformist group Africa Summit held in Brussels, I made a plea to our international development partners to move faster to close the infrastructure gap in Africa, without which there is no hope for sustained private sector led growth,” he stated. According to him, roads and electricity infrastructure are binding constraints to Africa’s transformation and the resource requirements for addressing these constraints are huge. Minister Tweah indicated that the European External Investment Program has allocated around one billion Euros to support businesses and infrastructure in Africa, but the key challenge is moving private capital to Africa. He disclosed that in Liberia, closing our road infrastructure gap will need a minimum of a billion dollars at the prevailing unit costs of road works. “We are presently working with the World Bank and private actors to scale up resources for road investment, “he said. Minister Tweah stressed:"under Liberia's new development plan, we want to achieve bankability of projects; the PAPD favors projects and programs that exert strong impacts on private sector and job creation for the majority of our young people." resource constrained, expensive contracts is an additional drain on the continent’s transformation. At the end of the meeting Liberia will assume the presidency of EDF from the Gambia.